It's State of the Union night. Here are five things to watch. Aides say that Trump will go for a broader appeal than his regular base politics in tonight's speech. But about that broader appeal… The Trumps are inviting a boy to the speech who has been bullied because of his last name — Trump. Who are the rest of the White House's guests? 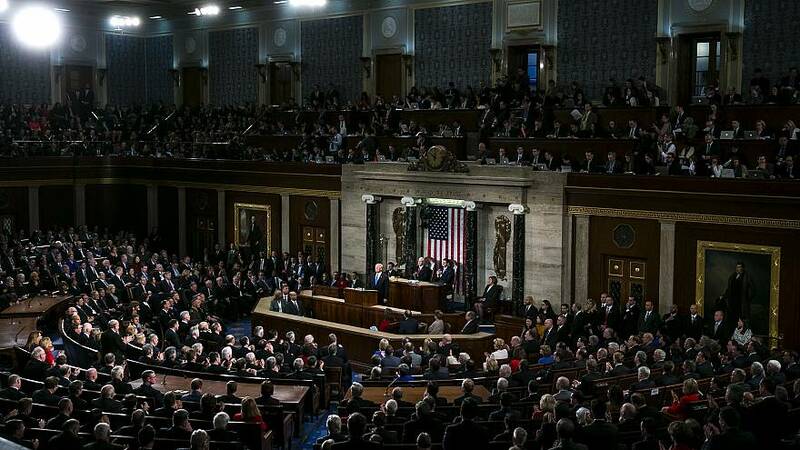 The SOTU is usually upbeat — except when it's not. Trump's options to get his border wall keep shrinking, writes the New York Times. The purge of undocumented workers from Trump properties has spread to at least five golf courses, the Washington Post reports. Trump is still trying to keep his taxes hidden. Here's how his administration plans to do it in the face of Democratic House oversight requests. Federal prosecutors have subpoenaed records from Trump's inaugural committee. More, from the Wall Street Journal: "The subpoena requests documents related to the committee's donors and spending, according to a copy viewed by The Wall Street Journal, including communications about payments made directly by donors to vendors—which would flout disclosure rules. Federal prosecutors are also seeking documents related to a Los Angeles financier who gave $900,000 to the committee through his private-equity firm and once registered as a foreign agent working on behalf of the Sri Lankan government." The president is nominating World Bank critic David Malpass to lead the very organization he's criticized. Iraqi politicians are not happy with Trump's play to use the country as a base for U.S. troops to monitor Iran. Ralph Northam is still weighing a possible resignation as Lt. Gov. Justin Fairfax denies a new sexual assault allegation. Fairfax is calling his encounter with a woman in 2004 "100 percent consensual." The governor of Puerto Rico will attend the State of the Union. Oprah is giving Beto O'Rourke a big stage. Howard Schultz will take 3-4 months to decide on a run. 2020 candidates are taking digs at Trump with their State of the Union guests. Here's the latest on Kamala Harris's schedule. John Cornyn is bracing a for a tough reelection fight, POLITICO writes. Chris Christie isn't ruling out a future presidential run.